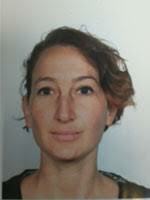 Dina is a Post-doctoral researcher at the Faculty of Law of the University of Tilburg. Her research focuses on civil society organisations working on sustainable development in Ethiopia. You can read more about the research project here. Dina was awarded her PhD in 2017 by the Department of Public and International Law at the University of Oslo. Her PhD was on the concept of human dignity in the context of environmental law and governance. Dina completed her BA and LLB at the University of Cape Town, South Africa, and her Master of Laws, with honours, at the University of Auckland, New Zealand. instrumental in the facilitation of a community activist network in the field of mining and environmental justice. Dina also led the Centre’s work on improving transparency in environmental governance. As a result of her work at the Centre, Dina was included in the 2013 list of 200 Young South Africans published by the Mail and Guardian . Dina has also worked in the Mining and Natural Resources team at Webber Wentzel, a South African law firm. A list of Dina’s recent publications can be found here.